Android Academy Advanced course is almost complete! We are looking forward to see you at the last lesson. The first meeting about architecture was very hot! 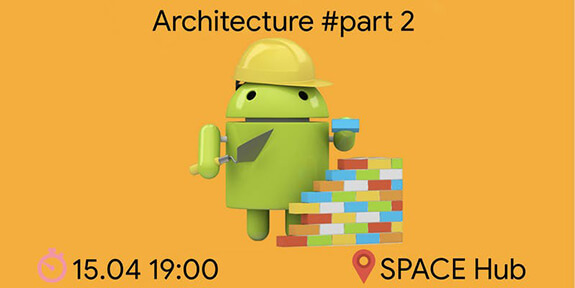 The topic of the next #AndroidAcademy meetup is #MVI and #CleanArchitecture. We will reveal all the secrets of well-done #MVI and analyze how to deal with #CleanArchitecture. Great thanks to our partners – EPAM and SPACE!